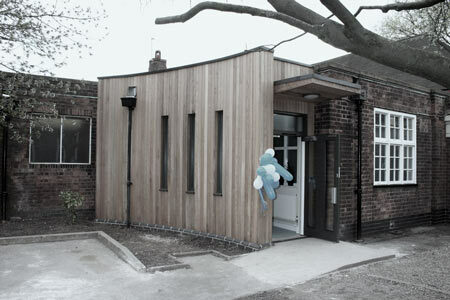 The school was invited to provide a room for an NHS outreach programme whereby the school could set aside some space so that a visiting nurse or health professional could base themselves in the community which would be easy for parents and children to get easy access to a health worker on a regular basis. 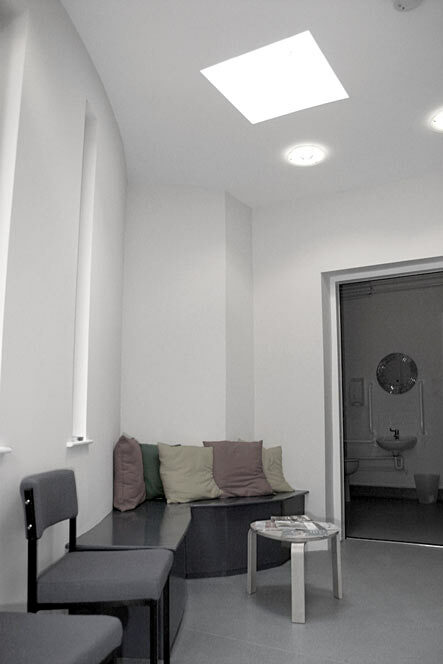 Armed with £50,000 the brief was to find a spare room that could be used for such a facility and then give it its own entrance and a waiting room reception space. 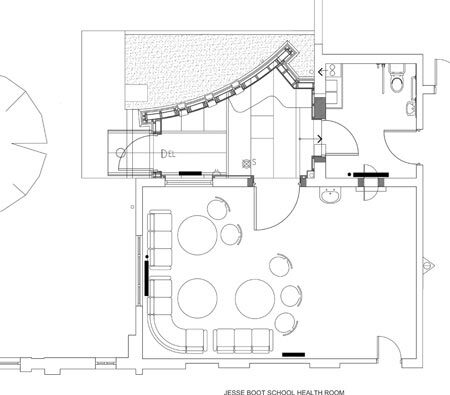 The result is a simple curved cedar clad construction that responds very sympathetically to the school’s strong architectural identity and serves as an example how to design beautiful but very economical buildings. The success of this led us to be invited to do the same for Highbank School.